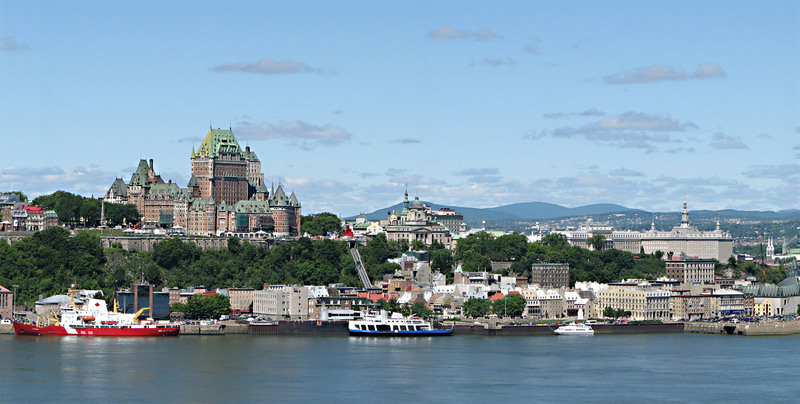 Quebec is the only Canadian province with a predominantly French-speaking population and the only one whose sole official language is French at the provincial level. Its most iconic landmark is the Basilica of Sainte-Anne-de-Beaupre but the city's extensive appeal go above and beyond the religious attractions with its stunning nature and wild nightlife. If you ever find yourself in Quebec with a broken limb or an illness, don’t head to the hospital, take a taxi to the Basilica. It’s credited for making miracles and curing the sick. One of the builders, who worked on Saint Anne in 1658, was miraculously cured of his broken leg and since then braces, crutches and canes are all left inside the basilica after people claim not to need them anymore after leaving. Ok, so we understand if you’re not interested in visiting for the healing reason, but the building is beautiful both in and out so maybe it’ll take your fancy to take a look at one of Quebec’s oldest buildings. Located just a few minutes the city between the river and cliffs lays Parc de la Chute-Montmorency; gushing waterfalls at an awe-inspiring 83 metres. Once it gets dark by the falls, the park lights up, and is illuminated, giving it a captivating feel and atmosphere, perfect all year round, day and night. We recommend you attempt to ice climb the falls during winter, its good fun and an un-missable experience. Quebec is famous for hits high calorie, high fat food so don’t over indulge! With a strong French and Irish influence, Quebec’s famous tourtiere- a meat pie featuring stuffing, pork, beef, veal or fish traditionally- and poutine- French fries topped with gravy and curd cheese- are our recommendations. Top it off with a Canadian beer and head on out to nightclubs Chez Dagobert, Maurice and Pub Saint-Patrick for a memorable night out. Quebec is everything except miss-able. Gorgeous views, stunning locations and amazing architecture await you in this popular Canadian city.